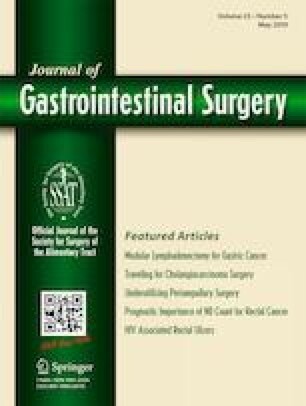 The purpose of this study was to review our experience with laparoscopic colectomy and fistula resection, evaluate the frequency of conversion to open, and to compare the perioperative courses of the complete laparoscopic and conversion groups. This study is a retrospective analysis of 111 consecutive adult patients with diverticular fistulae diagnosed clinically or radiographically over 11 years at a single institution. Five patients were excluded for preoperative comorbidities. The remaining 106 consecutive patients underwent minimally invasive sigmoid colectomy with primary anastomosis. Preoperative, intraoperative, and postoperative variables were collected from the colorectal surgery service database. A retrospective cohort analysis was performed between laparoscopic and converted groups. Within the group, 47% had colovesical fistulas, followed by colovaginal, coloenteric, colocutaneous, and colocolonic fistulas. The overall conversion rate to laparotomy was 34.7% (n = 37). The most common reason for conversion was dense fibrosis. Mean operative time was similar between groups. Combined postoperative complications occurred in 26.4% of patients (21.4% laparoscopic and 37.8% converted, p = 0.075). Length of stay was significantly shorter in the laparoscopic group (5.8 vs 8.1 days, p = 0.014). There were two anastomotic leaks, both in the open group. There were no 30-day mortalities. Laparoscopic sigmoid colectomy for diverticular fistula is safe, with complication rates comparable to open sigmoid resection. We identify a conversion rate which allows the majority of patients to benefit from minimally invasive procedures. Martinolich J contributed substantially to the conception, acquisition, analysis, drafting the work, and final approval and is accountable for the accuracy and integrity of the work. Croasdale DR contributed substantially to the conception, acquisition, analysis, drafting the work, and final approval and is accountable for the accuracy and integrity of the work. Bhakta A contributed substantially to the conception, acquisition, analysis, drafting the work, and final approval and is accountable for the accuracy and integrity of the work. Ata A contributed substantially to the conception, acquisition, analysis and interpretation, drafting the work, and final approval and is accountable for the accuracy and integrity of the work. Chismark AD contributed substantially to the conception, acquisition, analysis, drafting the work, and final approval and is accountable for the accuracy and integrity of the work. Valerian BT contributed substantially to the conception, acquisition, analysis, drafting the work, and final approval and is accountable for the accuracy and integrity of the work. Canete JJ contributed substantially to the conception, acquisition, analysis, drafting the work, and final approval and is accountable for the accuracy and integrity of the work. Lee EC contributed substantially to the conception, acquisition, analysis, drafting the work, and final approval and is accountable for the accuracy and integrity of the work.